Sweet Moose came to us through no fault of his own. 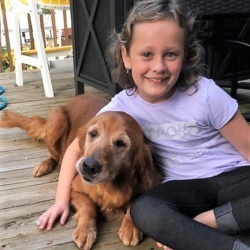 His owner was having health issues and an upcoming series of surgeries, so she knew that she wouldn’t be able to continue to provide Moose with the abundant love and care she’d been showering him with for the past 2-years as his Mom. 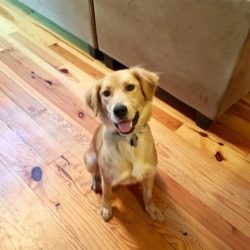 (She had adopted Moose from a young gentleman who posted Moose on Craigslist when his living situation changed, so Moose has been through a few very lucky transitions in his short life!) 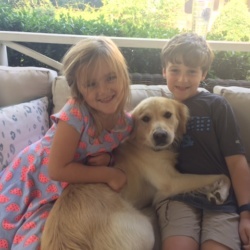 We are so happy to be able to play a small part in finding Moose’s Forever Family. 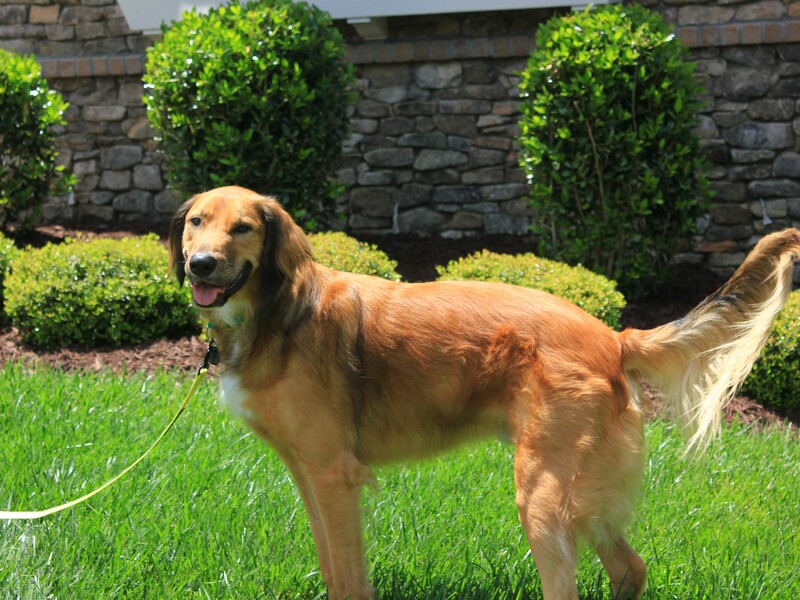 Although Moose is clearly a Golden Mix, he has shown nothing but 100% pure Golden personality! 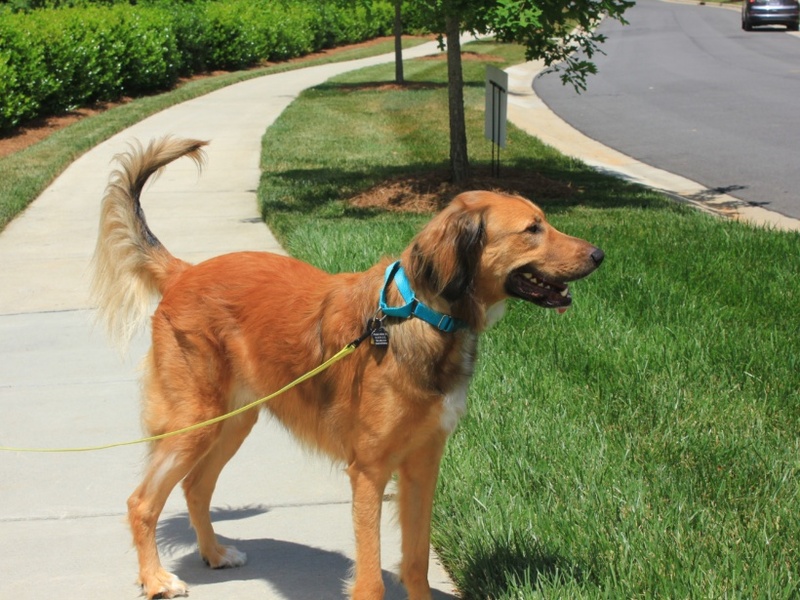 Moose has adapted seamlessly into his foster home and has excellent manners. He loves to play ball, play tug of war, go for walks, take rides in the car, or snooze at your feet. He’s been the perfect house guest. He’s housebroken and knows basic commands. He hasn’t been on the furniture, although he’s found his way into bed for snuggles at night with his foster Mom. 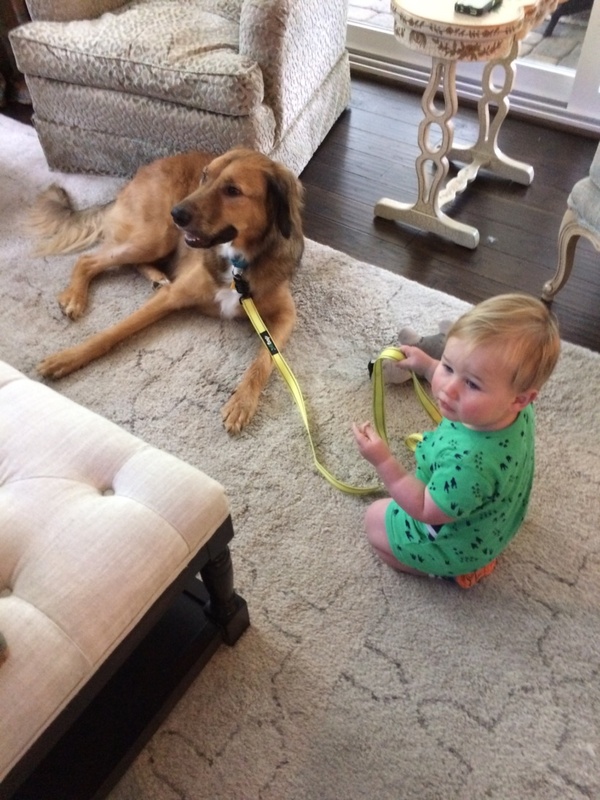 On his walks he’s always happy to say hello to other dogs and their people, and he LOVES his foster mom’s 15 month old grandson. They go for walks together inside the house! In his former life, he had 10 (ten!!) grandchildren and his very best friend was a chatty dachshund named Annie — proof that he does not discriminate against small dogs of any denomination! 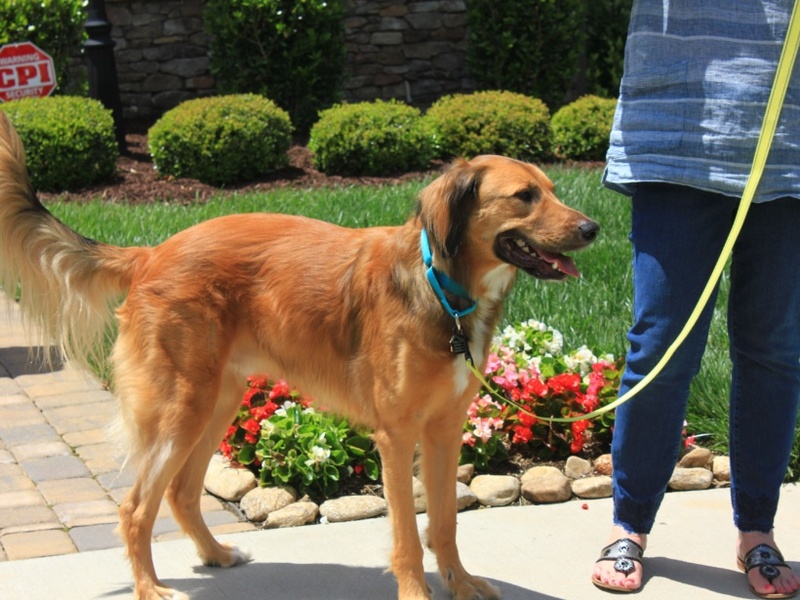 He is crate trained, but it hasn’t been needed in his foster home. We haven’t introduced Moose to any cats yet. His original owner told us that when they had a cat, he was a little too rambunctious with him. Moose is truly a wonderful boy. 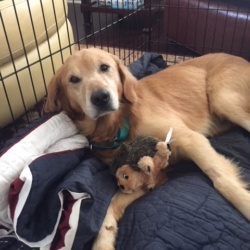 His foster mom told me ” Moose just has a very sweet and loving nature about himself always wants to please. A structural fence, so he can enjoy being outside and playing ball in the yard. Someone at home the majority of the day (he loves his people!). 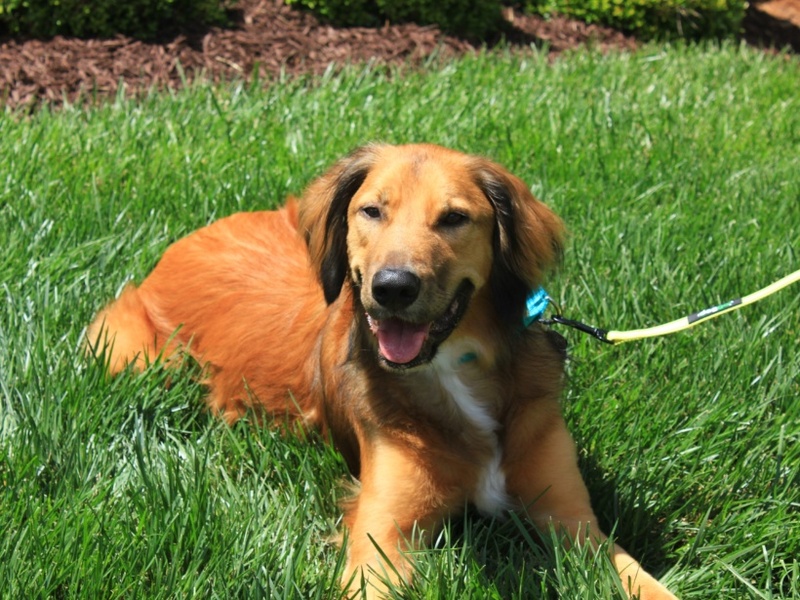 Moose would be fine as an only dog, but loves having other dogs to play with, so we hope he’ll have a buddy. 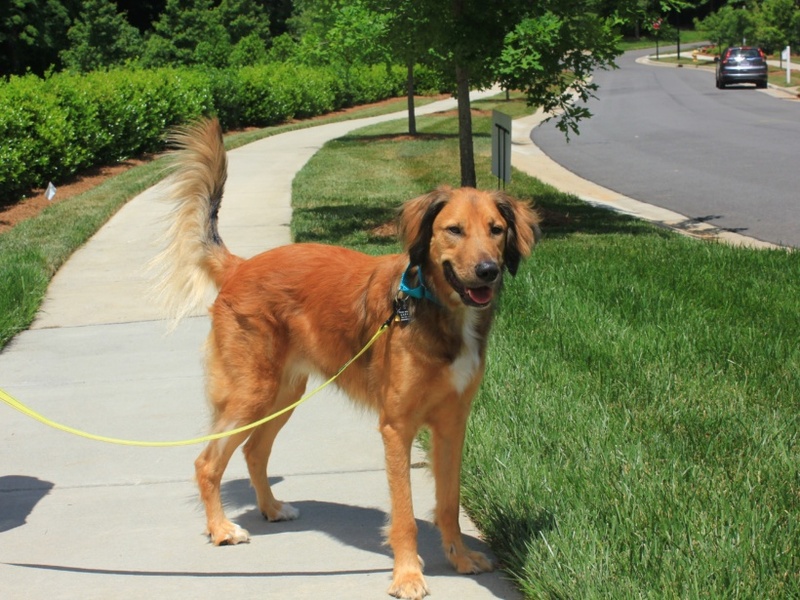 An active individual or family; he loves walks and hikes and swimming!